Being interviewed on Newstalk 1160 AM with Evelyn Ashley and John Monahon on their show “Conversations About Business in the 21st Century” on the topic of Mindf…ulness. This will be aired Thursday, May 19th at 1pm. Tune in to learn more about how Mindfulness can build stress resilience, creativity, and balance. We discussed how mindfulness applies to an individual’s health as well as the health of a corporation. Stress is the #1 health issue in America and it’s costing companies a lot of money. Mindfulness is a powerful business strategy because it addresses mental, emotional, relational and physical health. It has also been shown to increase focus and productivity while reducing burnout. 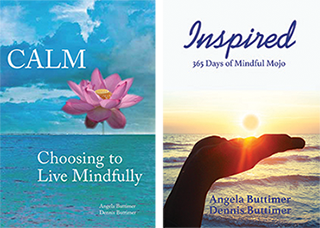 We would love to speak to your organization about how to effectively implement mindfulness. The ROI is great on many levels. Happy healthy employees create a vibrant corporate culture! To your health, success, and well-being!